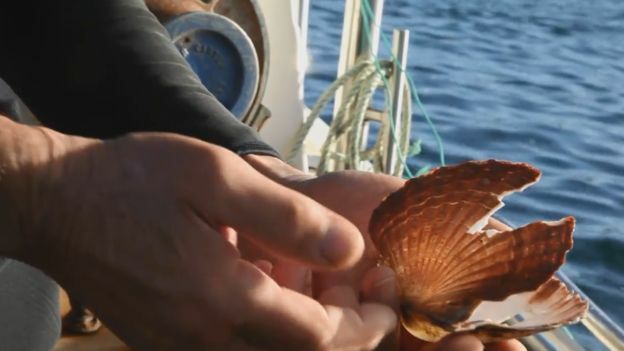 A team of divers say they have uncovered evidence of illegal scallop dredging in a protected area on the west coast of Scotland. 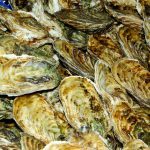 Broken shells, dislodged boulders and fresh scallop meat were all filmed on the seabed in the Firth of Lorn. Environmental group Open Seas said it showed that Marine Protected Areas (MPAs), where fishing is banned, are not effectively policed. The discovery follows damage to a rare reef in Loch Carron last year. That incident led to an emergency closure of the waters. Steve Barlow and Davy Stinson discovered the aftermath of dredging on a recent dive near Insh island and returned with camera equipment. By the second dive, the dredging lines had been churned up by currents but marine damage was still present. Dredgers catch scallops by dragging heavy equipment along the seabed. They are banned from operating in certain areas to protect marine features. But divers, who catch the scallops by hand, are allowed to operate. An MPA to protect the common skate population was introduced in 2014 from Loch Sunart to the Sound of Jura. The divers believe dredging is “common” with boats operating without location-tracking equipment and possibly at night. Marine Scotland Compliance has been informed of the damage.